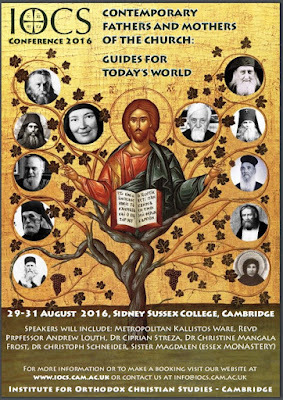 I checked into Sidney Sussex College, Cambridge, this afternoon [28 August 2016] and I am staying here for most of the coming week as a participant in the annual summer conference organised by the Institute for Orthodox Christian Studies. I have rooms on Stairs L in Cloister Court, looking out onto the Fellows’ Lawn, and beyond that to the Fellows’ Garden. 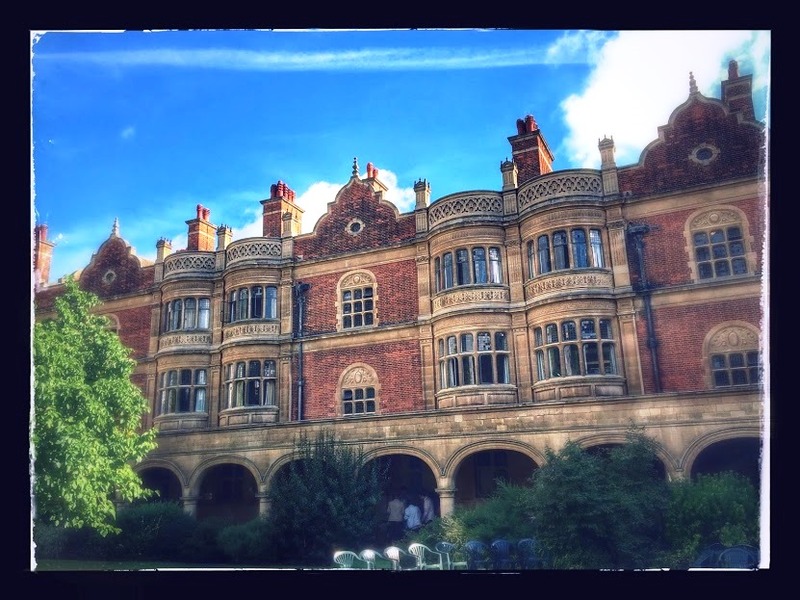 A schoolfriend from Malahide who lives near Cambridge still refuses to meet me inside the gate of Sidney Sussex because Oliver Cromwell’s head is buried in the antechapel and his portrait, ‘warts and all,’ hangs in the Hall. For my friend, this would be the last straw, even though over the years I have often dined beneath that portrait and the chapel and antechapel are closed this week for essential repairs. 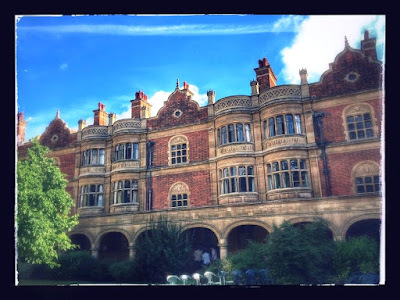 But, while Cromwell may have been one the better-known undergraduates at Sidney Sussex, he never actually graduated he and left Cambridge without a degree. On the other hand, I have also dined beneath a portrait of a Sidney graduate with more positive connections with Ireland: the portrait of John Bramhall (1594-1663), Archbishop of Armagh, hangs in the Old Library, almost directly above the supposed burial place of Cromwell’s head. John Bramhall was one of the key Anglican theologians and apologists of the 17th century known as the Caroline Divines. He firmly defended Anglicanism, against both Puritans and Roman Catholics, and he was critical of the materialism of Thomas Hobbes. Bramhall was born in Pontefract, Yorkshire. He matriculated at Sidney Sussex College in 1609, and graduated BA (1612), MA (1616), BD (1623) and DD 1630. Bramhall400 years ago, in 1616, and soon after he was presented to the parish of South Kilvington, Yorkshire, by Sir Christopher Wandesford, a prominent Yorkshire politician who later became MP for Kildare and Lord Deputy of Ireland. Bramhall went to Ireland in 1633 with Wandesford’s friend and distant cousin, Thomas Wentworth, and almost immediately he was appointed Archdeacon of Meath. A year later, he was appointed Bishop of Derry and he was consecrated in the chapel of Dublin Castle on 16 May 1634. Bramhall promptly took his seat in the Irish House of Lords, and played a key role a few weeks later in the Irish Parliament in securing the passing of acts for the preservation of church property. Later that year, he was instrumental in the Irish Convocation adopting the 39 Articles in addition to the Irish Articles drawn up by Archbishop James Ussher in 1615. However, when Bramhall tried to get Convocation to adopt the English canons of 1604, he came into conflict with Ussher. Their conflict was resolved when distinct Irish canons were passed, but Bramhall had a share in writing them. The 94th canon, endorsing a policy of William Bedell, Bishop of Kilmore, provided for the use of the Bible and the Book of Common Prayer in the vernacular in Irish-speaking districts. In August 1636, Bramhall joined Henry Leslie, Bishop of Down and Connor, in moving against five Puritan ministers when they refused to subscribe the new canons. They included Edward Brice (1569-1636), the first Presbyterian appointed to a parish in Ireland. In his conflict with Presbyterians, Bramhall came to the assistance of the Revd John Corbet of Bonhill, who had been deposed by the Dumbarton Presbytery in Scotland for supporting the Scottish bishops, refusing to subscribe to the assembly’s declaration against prelacy and for writing a ‘pugnacious’ tract against the Covenanters. In 1639, Bramhall found Corbet a parish in the Diocese of Achonry. Although Corbet was nominated by Wenworth, his appointment created a conflict between Bramhall and Archibald Adair, Bishop of Killala and Achonry. Adair was a Puritan. And because of his views on Corbet he was tried as a supporter of the Scottish Covenant. Adair was fined £2,000, jailed indefinitely and deposed in 1640. But his trial and sentence alienated Scottish settlers in Ireland. Later that year, the Irish House of Commons drew up a remonstrance, claiming the Derry plantation had been ‘almost destroyed’ by Bramhall’s policies. Eventually, Adair’s deposition was set aside, and in 1641, following the trial and execution of Bishop John Atherton, he was moved to the Diocese of Waterford and Lismore. However, he was forced to flee Ireland during the 1641 rebellion, and died in Bristol in 1647. Meanwhile, Bramhall’s patron Wentworth, by then Earl of Strafford, was impeached for treason by the English House of Commons. The Ulster Presbyterians presented the English Parliament with a petition including 31 charges against the bishops of the Church of Ireland. On 4 March 1641, the Irish Commons impeached Bramhall, along with the Lord Chancellor, the Chief Justice of the Common Pleas, and Sir George Radcliffe (1599-1657), who built Rathmines Castle in Dublin, as participants in Strafford’s alleged treason. Bramhall left Derry for Dublin, and took his place in the Irish House of Lords. He was accused of unconstitutional acts and jailed. His defended himself, saying he had only sought the good of the Church, and wrote to Ussher in London. Eventually, King Charles I intervened, and Bramhall was freed, although he was never acquitted, and he returned to Derry before moving back to England in 1642. He remained in Yorkshire until the Battle of Marston Moor on 2 July 1644. He supported the Royalist cause in his sermons and his writings, and sold his plate to help the king. He fled abroad with Lord Newcastle and other royalists, and arrived in Hamburg on 8 July 1644. When the Treaty of Uxbridge was signed in January 1645, Bramhall and Archbishop Laud of Canterbury were specifically excluded from the proposed general pardon. In Paris, Bramhall met Hobbes and argued with him on liberty and necessity. There debate would continue in later years. He then moved to Brussels, where he preached at the chapel in the English embassy, as well as in Antwerp. When Bramhall returned to Ireland in 1648, he did not return to his diocese in Ulster. He was at Limerick in 1649, when he received the profession of the dying James Dillon, 3rd Earl of Roscommon. He was in Cork that October when the city declared for Cromwell and the Parliament. It was a narrow escape, and once again he was an exile on the Continent. He moved to Spain in 1650, and he was one of the bishops excluded from the Act of Indemnity in 1652. After the Restoration of Charles II in October 1660, Bramhall returned to England and then to Ireland. On 18 January 1661, he became Archbishop of Armagh in succession to James Ussher, who had died in 1656. On 27 January 1661, he presided at the consecration in Saint Patrick’s Cathedral, Dublin, of two new archbishops and 10 new bishops for the Church of Ireland. Bramhall presided at Convocation, and on 8 May 1661 he was chosen as Speaker of the Irish House of Lords. Within days, both Irish houses of parliament had erased the old charges against Bramhall from their records. As Primate, he was responsible for the Irish Parliament passing declarations requiring conformity to episcopacy and to the liturgy of the Book of Common Prayer, and ordered the burning of the Covenant. However, Bramhall could not carry his bills for a uniform tithe system and for extending episcopal leases. Until 1667, there was no Irish Act of Uniformity, and all that was in place was the old statute of 1560 on the use of Edward VI’s second Book of Common Prayer. But even before the Act of Uniformity was passed in England in 1662, the nonconformists were ejected by the bishops of the Church of Ireland. Bramhall had used money from the sale of his property in England to buy an estate at Omagh, Co Tyrone, in the 1630s. He was defending his rights in a court in Omagh against Sir Audley Mervyn when stroke deprived him of consciousness, and he died on 25 June 1663. Bramhall’s importance lies in his writings while he was in exile. Deprived of episcopal office in Ireland, he turned to responding to attacks on Anglicanism. In 1643, he wrote Serpent Salve, a defence of episcopacy and monarchy in response to attacks by the Puritans and Presbyterians. In 1649, his Fair Warning against the Scottish Discipline attacked the theology and claims of the Presbyterians and the Puritans. Bramhall also defend Anglicanism against Roman Catholics. In 1653, he countered Théophile Brachet de la Milletière’s restatement of the doctrine of transubstantiation with a reply that restated the Anglican understanding of the Real Presence in the Eucharist. His five treatises replying to Roman Catholics include a confutation of the ‘Nag’s Head’ fable. He also debated with Richard Smith, the titular Bishop of Chalcedon who had the episcopal leadership of Roman Catholics in England, telling him how he hoped to live to see the day when all Christian churches were united again. His works were collected by John Vesey and first published in Dublin in 1677. They were reprinted in five volumes in the Library of Anglo-Catholic Theology (Oxford, 1842-1845). ‘You are here to kneel where prayer has been valid. 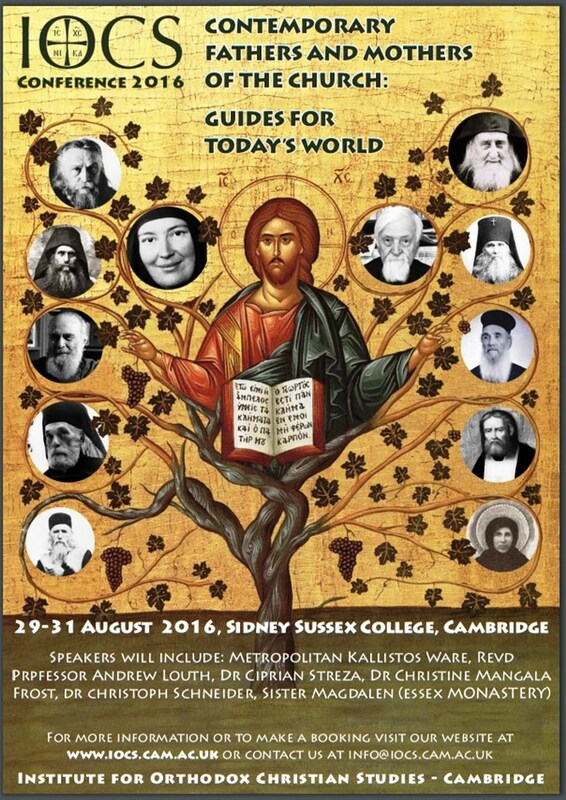 I am staying this weekend in Clare College, Cambridge, before moving on Sidney Sussex College where I am spending the week during the annual summer school organised by the Institute for Orthodox Christian Studies. There was a wedding in the Clare College yesterday. But because we are out of term time, there are no Sunday services in the chapel this morning [28 August 2016]. So I am probably going to Saint Bene’t’s Church, where the Revd Anna Matthews is the Vicar. Saint Bene’t’s has become the nearest thing to a parish church I have when I am in Cambridge, and I hope to be at the early morning Eucharist at 8 a.m. there throughout the week. 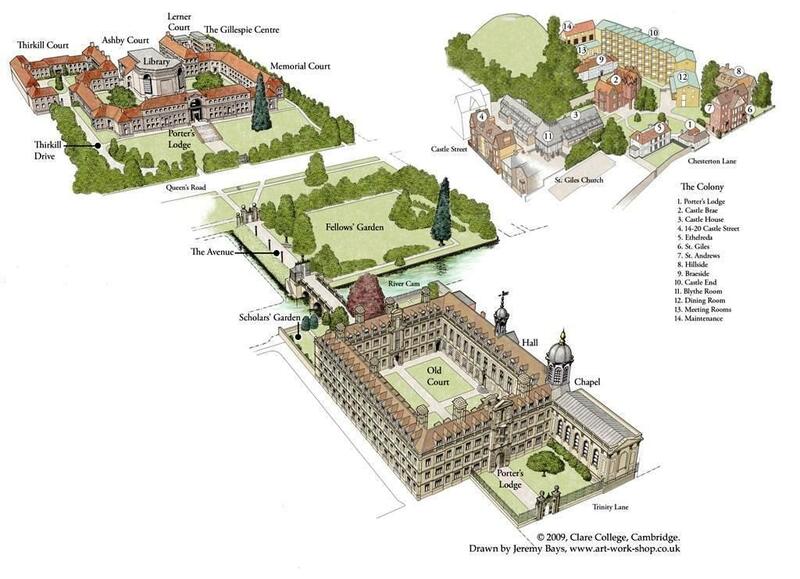 The Chapel in Clare College was built in the 1760s to a design by the amateur architect and Master of Caius, James Burrough. The Chapel is at the heart of the college in Old Court, and it is a place of quiet and beauty and of daily prayer throughout term time. With its simple beauty and light-filled space, the chapel is an oasis for peaceful reflection, and all are welcome, even outside term time. The worship and reflection in the Chapel is an integrated part of college life, seeking to serve and build up the community in peace and virtue, in mutual respect, and with a commitment to the holistic flourishing of every person. There is a daily Eucharist each morning during Full Term, when Choral Evensong is also sung by the College Choir. According to instructions left by the college founder, Lady Elizabeth de Clare, the chapel, as with the whole college, is dedicated to the Blessed Virgin Mary. The painting above the altar is The Annunciation by Giambattista Cipriani, and was commissioned for the chapel by the Duke of Newcastle in the 18th century. In the early 20th century, two stained glass windows were installed at the West End of the Chapel. The window on the south commemorates Richard de Badew, sometime Chancellor of Cambridge University and the original founder of the college, which was later re-established, renamed and endowed by Lady Elizabeth de Clare. He is shown offering his foundation, then known as University Hall, to the Virgin Mary and the Christ Child. Below them is a a map of Europe, with Ireland and Britain comfortably close to the European continental landmass, long before anyone thought of Brexit. The antechapel has memorials to the members of Clare College who died in the two World Wars, including Hamo Sassoon, brother of the war poet Siegfried Sassoon. The Dean of Clare College, the Revd Dr Jamie Hawkey, is also Director of Studies in Theology. He studied at Girton College and Selwyn College and at Westcott House in Cambridge, and at the Angelicum University in Rome. He came to Clare having been Precentor of Westminster Abbey and a Minor Canon there since 2010. Before that, he was a curate in Saint Mary’s, Portsea, in inner-city Portsmouth. His research interests focus on ecclesiology and ecumenical theology. In addition to his work at Clare, he serves on the International Anglican-Reformed Dialogue, as a member of the Malines Conversations Group, and he chairs the UK Appeal Committee of the Anglican Centre in Rome. Previous deans of Clare College include Archbishop Rowan Williams (1984-1986), later Archbishop of Canterbury (2003–2013). He succeeded the theologian and biochemist Canon Arthur Robert Peacocke (1924-2006) who was Dean, Fellow, and Tutor and Director of Studies in Theology of Clare College (1973-1984). Before them, one the best-known clerical Deans of Clare College was the theologian and New Testament scholar, Bishop John AT Robinson (1919-1983). 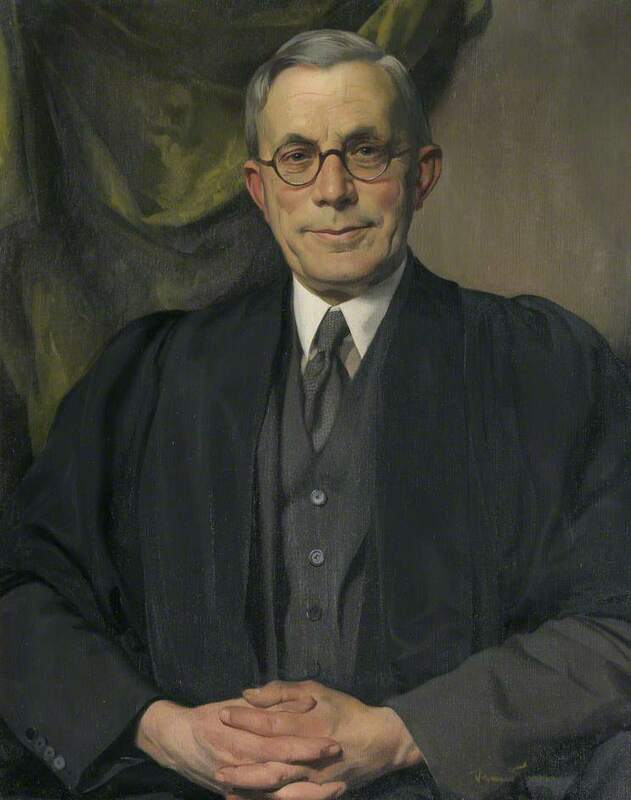 He was the Dean of Clare College (1951-1959) and a fellow, and Lecturer in Divinity at Cambridge University before becoming Bishop of Woolwich (1959-1969). He studied theology at Westcott House, Cambridge, and after retiring as Bishop of Woolwich in 1969, he returned to Cambridge as a lecturer in theology and Dean of Trinity College, Cambridge. He was the author of In the End, God (1951) and Honest to God (1963). He preached his last sermon, ‘Learning from cancer,’ to a packed college chapel six weeks before he died. The Robinsons are an outstanding clerical, theological and missionary family from Monaghan. They were descended from a family that lived in Seagoe area of Co Armagh from the 17th century, and later in Monaghan and Clones. John Robinson’s father, Canon Arthur Robinson, (1856-1928), was a canon of Canterbury Cathedral and the author of several books, and he inherited a house called The Wood just outside Monaghan. He in turn was a son of the Revd George Robinson (1819-1881), the vicar of a poor Somerset parish near Bristol and Bath. George Robinson was born in Monaghan where his father, Joseph Robinson (1782-1866), a printer and bookseller. Joseph Robinson lived at No 1 The Diamond, Monaghan, beside Saint Patrick’s Church, where he is buried in the vault. George Robinson was educated at Trinity College Dublin and was ordained deacon (1844) for Donaghcloney in the Diocese of Dromore by Henry Pepys, Bishop of Worcester, and priest (1845) for Barr in the Diocese of Clogher by John Leslie, Bishop of Kilmore. In 1847, he moved to England, where he was curate in Saint James’s, Clapham, Vicar of Keynsham, Somerset and Vicar of Saint Augustine’s, Everton, Liverpool. George Robinson was back in Ireland in 1854, when he married Henrietta Cecilia Forbes in Collon, Co Louth. She was a daughter of Arthur Forbes and Caroline (Armitage) of Craigavad, Co Down. George and Henrietta had 13 children, including six sons who were priests and two daughters who were deaconesses. He died in 1881 in Marseilles, where he was buried. But Clare’s association with key Anglican thinkers spans the centuries. In the early 16th century, when religious debate in Cambridge was fierce, and Hugh Latimer (1485-1555) was one of the principal leaders of the Reformation. He was elected a Fellow of Clare in 1510 while still an undergraduate. Latimer became a chaplain to Henry VIII and Anne Boleyn in 1534 and Bishop of Worcester in 1535, and was one of the king’s advisers on the dissolution of the monastic houses. During the reign of Queen Mary (1553-1558), Latimer refused to recant his beliefs. He was burned at the stake with Nicholas Ridley in Oxford on 16 October 1555. While he is known to history as one of the ‘Oxford Martyrs,’ he was a product of Cambridge and a Fellow of Clare. Despite the turmoils of the Reformation, Clare Hall, as it was then known, continued to grow in size and wealth in the 16th century. Later, in the early 17th century, Nicholas Ferrar (1593-1637) came into residence at Clare the age of 13, and in Cambridge he became a close friend of the poet George Herbert. With the outbreak of the plague in 1625, Ferrar established the Anglican retreat at Little Gidding that is commemorated by TS Eliot’s in ‘Little Gidding’ in his Four Quartets. Later in the 17th century, the college fellows at that time, including John Tillotson, who later became Archbishop of Canterbury (1691-1694). In the mid-19th century, the hymn-writer and historian the Revd Sabine Baring-Gould (1834-1924) graduated from Clare (BA, 1857; MA, 1860). He is remembered for hymns such as Onward, Christian Soldiers and Now the Day Is Over. At the end of the 19th century, a distinguished fellow of Clare was J. Rendel Harris (1852-1941), a Biblical scholar and curator of manuscripts who was instrumental in bringing back to light many Syriac scriptures and other early documents. His contacts at the Saint Catherine’s Monastery on Mount Sinai in Egypt led to the discovery by the Cambridge twin sisters Agnes Smith Lewis and Margaret Dunlop Gibson of the Sinaitic Palimpsest, the oldest-known Syriac New Testament document. Harris, who was a Quaker, accompanied the sisters on a second trip, with Robert Bensly and Francis Crawford Burkitt, to decipher the palimpsest. He also discovered three other key manuscripts on Mount Sinai. His Biblical Fragments from Mount Sinai was published in 1890. Their story is told by Janet Soskice, Professor of Philosophical Theology at Cambridge and a Fellow of Jesus College, in The Sisters of Sinai: How Two Lady Adventurers Discovered the Lost Gospels (London: Chatto and New York: Knopf, 2009). This was Book of the Week on Radio 4, and in the Best Books of the Year lists of the Washington Post, Christian Science Monitor and the Library Journal. The New Testament scholar, CFD (‘Charlie’) Moule (1908-2007), was Dean of Clare (1944-1951), before becoming Lady Margaret’s Professor of Divinity, the oldest chair in the University of Cambridge, and he remained a Fellow at Clare until his death. Like his great-uncle, Handley Moule, first Principal at Ridley Hall and later Bishop of Durham, he was known affectionately as ‘Holy Mouley.’ He was succeeded as Dean of Clare by John Robinson. Maurice Frank Wiles (1923-2005) was the chaplain at Ridley Hall, Cambridge (1952-1955), and then succeeded John Robinson as Dean and Fellow of Clare College (1959-1967) before becoming Regius Professor of Divinity at Oxford (1970-1991). His son, Sir Andrew John Wiles, the mathematician and Oxford Professor, completed his PhD at Clare and is known for solving Fermat’s Last Theorem. 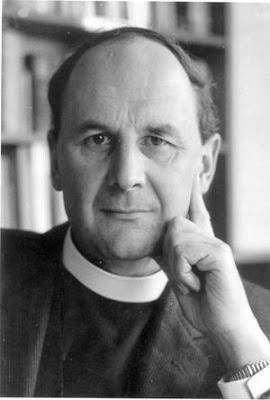 Maurice Wiles was succeeded as Dean of Clare by Mark Santer (1967-1972), later Principal of Westcott House (1973-1981) and Bishop of Birmingham (1987-2002). He was followed at Clare by Arthur Peacocke (1973-1984) and then by Rowan Williams (1984-1986). While he was the Dean of Clare, the future Archbishop of Canterbury was an active member of Christian CND in Cambridge; at the same time, I was chair of Christian CND in Ireland and completing a postgraduate dissertation at the Irish School of Ecumenics for Trinity College Dublin on Roman Catholic teachings on the nuclear arms race. Rowan Williams took a leading part in a Christian CND protest at RAF Alconbury near Huntingdon, climbing the barbed-wire fence and holding a brief service of penitence, with the imposition of ashes, on the runway. He was arrested and detained for 12 hours before being released without any charges, but his arrest left the Chapel of Clare without the Dean for Ash Wednesday that year. That radical tradition of speaking out against injustice was continued by his successor, Canon Nicholas Sagovsky (1986-1997), who went to court in 1990 for refusing the pay the Poll Tax.